An homage to David Bowie. 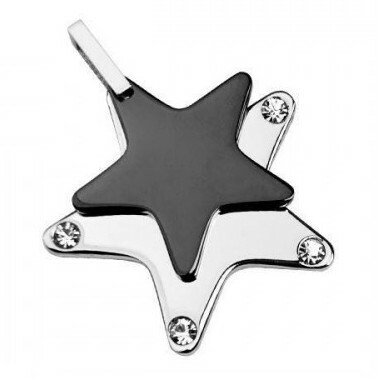 This stylish contrasting star pendant comples complete with a 20” Stainless Steel Ball chain. Size: 3.1cm.